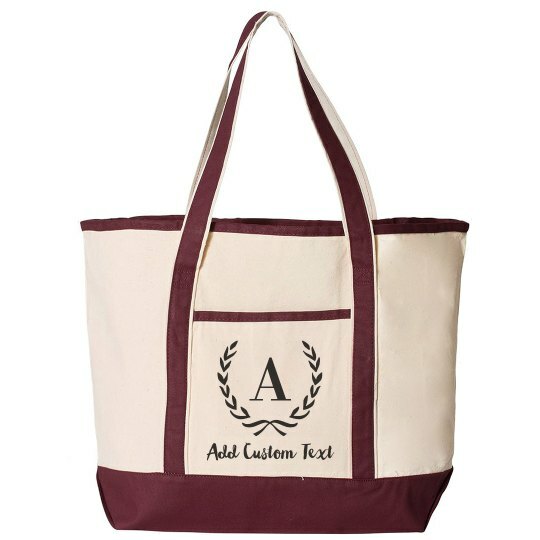 Be ready to carry all of your things with this customizable tote bag! match the large initial to your first name, and add your custom text at the bottom to make it yours. It is also the perfect gift for teachers and crafters!